The next big change to the Toyota Camry, and possibly also the RAV 4, will be the addition of a new 2.0 liter turbocharged four cylinder engine. In its announcement today about the new Lexus LF-NX Turbo Lexus and Toyota showed their hand. Toyota is a brand that cross pollinates every engine. There are no mainstream engines the brands do not share. Will the turbocharged four cylinder engine help keep these two segment leaders at the top? The Volkswagen line really blazed the trail in the US with the 2.0 liter direct injected turbo engine, but the Passat is an also-ran in the segment. Toyota sells more Camrys than Volkswagen sells total vehicles in the US. Volkswagen never quit on the V6 though until recently. Hyundai was the first to go all in. When Hyundai redesigned the Sonata and Kia Optima it was the first to move away from a V6 in the mid-size segment. It was a bold move, but it came with some real advantages. By only having one size engine (four-cylinder)) the front of the car could be designed around a smaller power plant. Also, the company could still advertise a sporty version of their sedan while at the same time reducing fuel consumption on EPA test cycles. Whether the engines are as powerful as the outgoing V6 or not, with the CAFÉ goals mandated by the government the big sellers have to improve their already stellar fuel efficiency even if trucks like the Ford F-150 can still get 15 MPG city, and then brag about their green credentials. A new turbocharged engine for the next Camry could help the company’s fuel economy goals for the Camry and reduce cost. 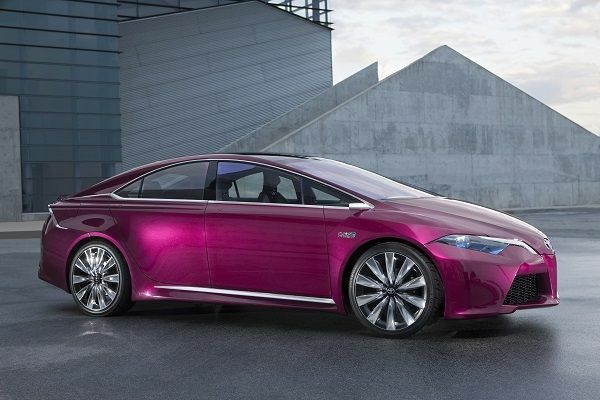 Spread across the Lexus line as well, up to six models might have the engine as an option. It could replace the IS 250s weak six-cylinder that has low torque and low power. Toyota Camry with about 250 to 275 horsepower and a nice flat torque plateau would be more of a driver’s car in the SE version. Having spent a lot of time in Camrys our opinion is that the standard engine is fine for mainstream sales, but the Camry can also be a nice sporty sedan given more power. The RAV 4 is also a car that does OK with the base 2.5 liter four. However, it is a bit heavier than the Camry and it definitely could put more torque to good use. The RAV 4 has had the V6 in the past and when it did was quite quick. With its new suspension tuning it would really be a great value sports crossover with about 250 horsepower and decent torque. Lexus could be planning to keep the turbo four to itself for 2014. However, it only makes sense that if it can use that engine in maybe 30,000 Camrys and maybe 15,000 RAV 4s that it would. The great thing about turbocharged engines is that they are very easy to de-tune by reducing turbo boost. Doing so would allow a Lexus with the engine to achieve, say 275 horsepower, and a Toyota to have less, perhaps 250. Thus, the premium aspects of the Lexus brand are retained, the cost reductions due to the higher scale of production for the turbo benefits all the cars involved. Interestingly, the very detailed press release announcing the new Lexus LF-NX did not mention to what transmission the new turbo would be mated. Could Lexus be breaking the news to us slowly that it is moving to a turbo four AND a CVT transmission? Had I not spent a significant amount of time in the new 2014 Corolla lately that would have horrified this Lexus fan. However, the new CVT in the Corolla is excellent, and it does not come with the big compromises in driving pleasure other CVTs on the market do. A CVT transmission mated to a new turbocharged four cylinder could achieve class leading fuel economy and also be a car that has some zing. Toyota fans on chat rooms and in the comments section of my recent articles on the Camry think I am crazy. Since the Camry was redesigned for the 2012 model year, they think that a 2015 Camry with big changes is too unlike Toyota who sticks to pre-determined design cycles, and too soon for a new model. Torque News has some very sharp readers, so I don’t discount their opinion. However, the evidence is mounting that the Camry and possibly also the RAV 4 are going to find themselves with a new drivetrain option very soon. What is your view? Will the new 2.0 Turbo soon be found in a Camry? 2015 would be right for a mid model update, Also engine updates are not always tied to new models with Toyota. On the flip side, I thought Toyota and Honda have dismissed turbos as being effective for efficiency and reliability. I will love a 4 cylinder turbo on any toyota model if it gets more than 200hp, hopefully a manual trans. also. Turbo engine in Rav 4 will be a great improvement in fun to drive.